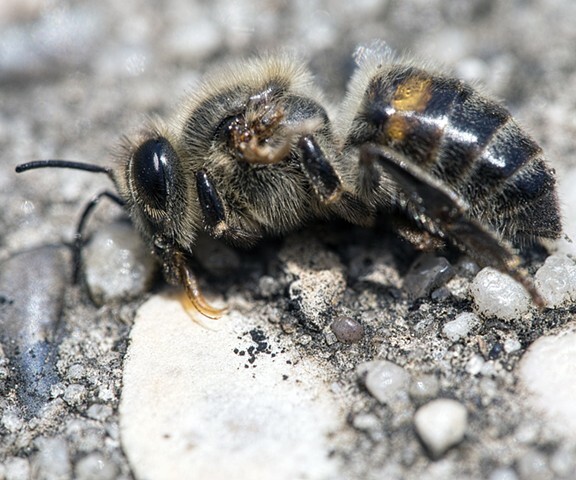 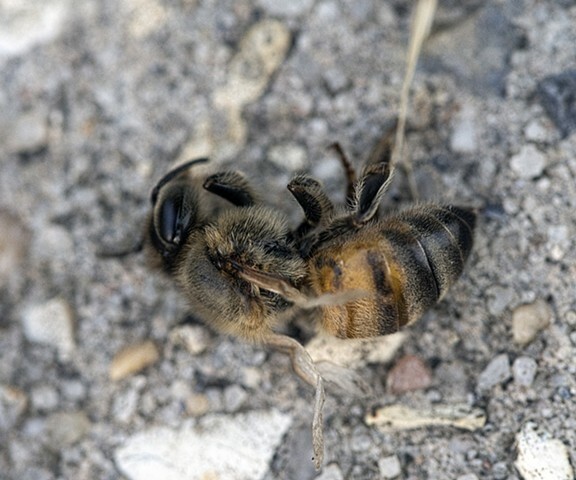 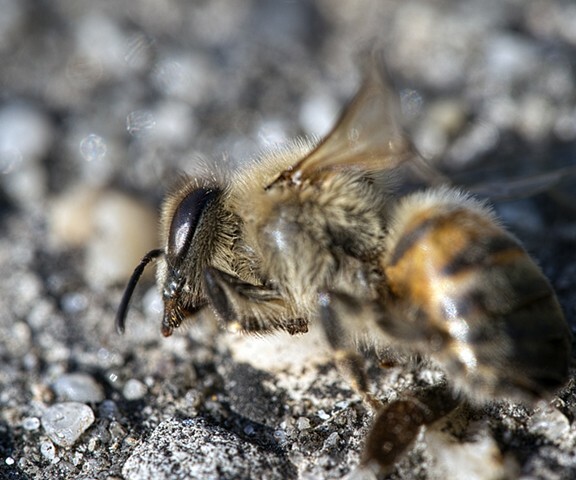 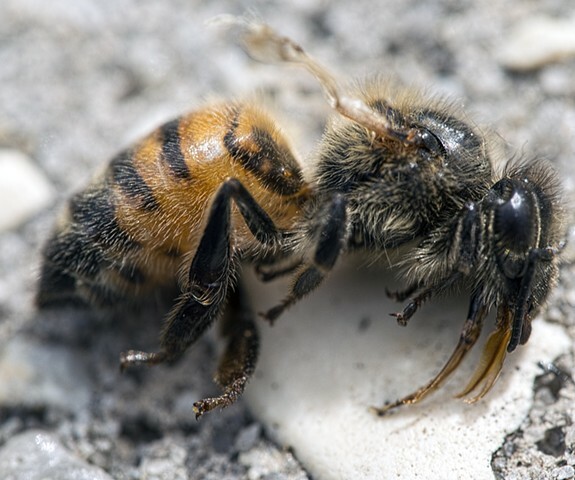 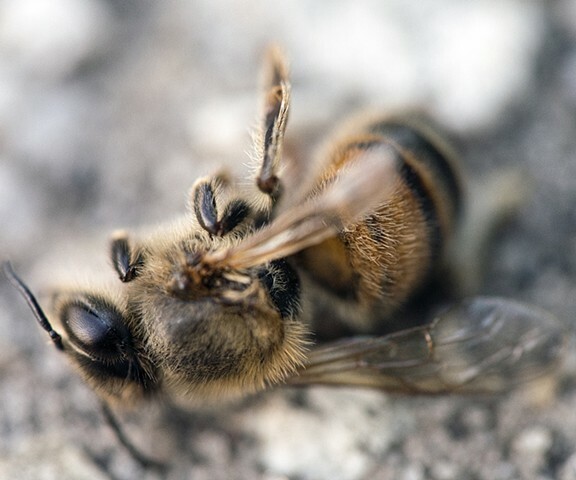 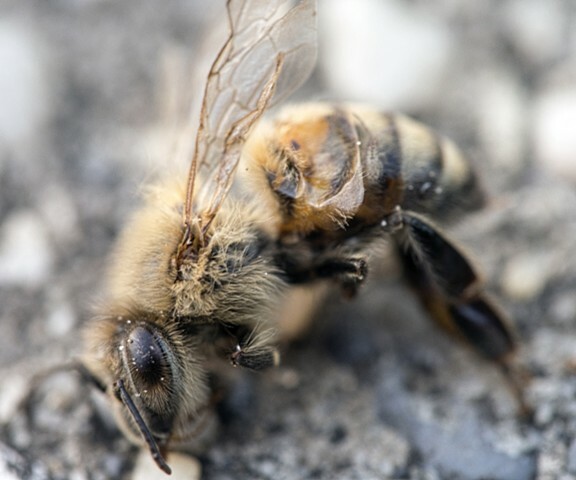 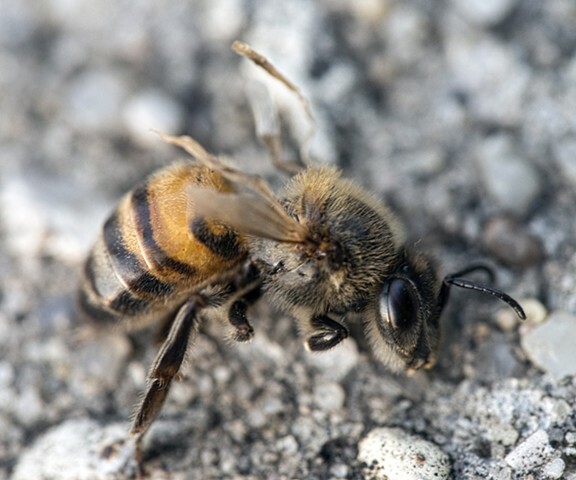 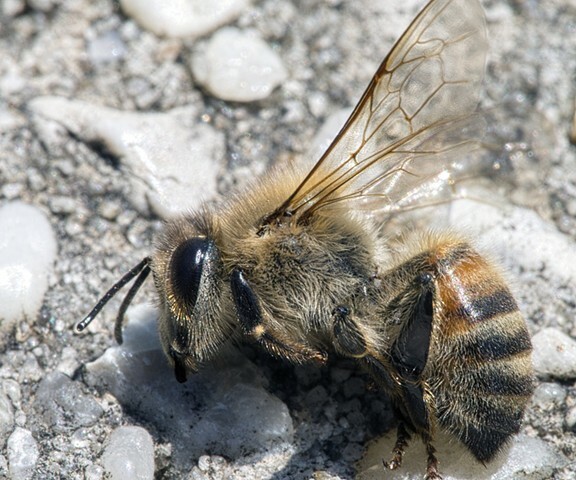 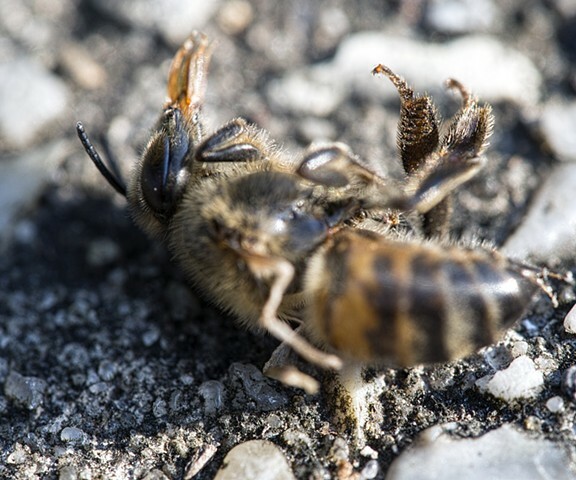 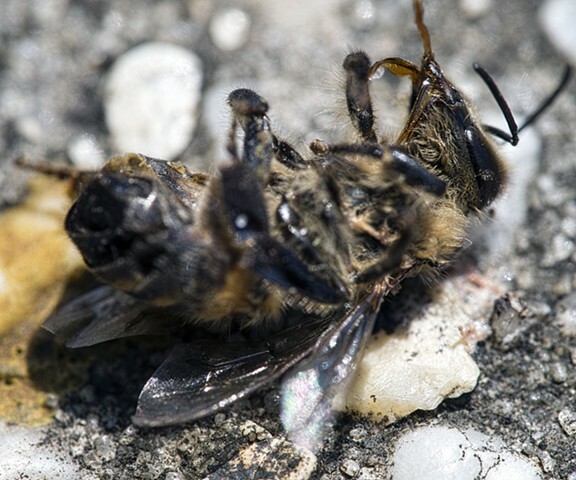 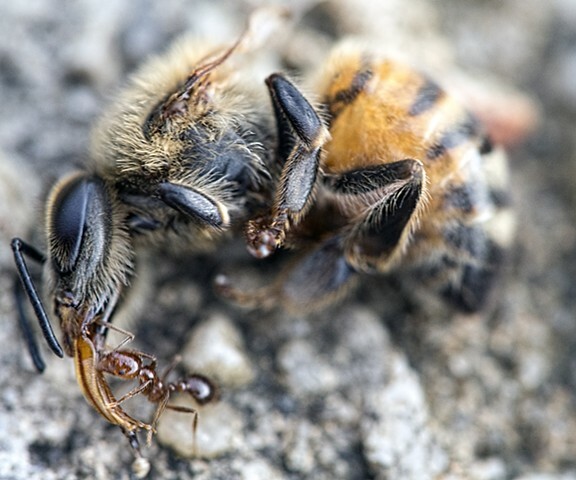 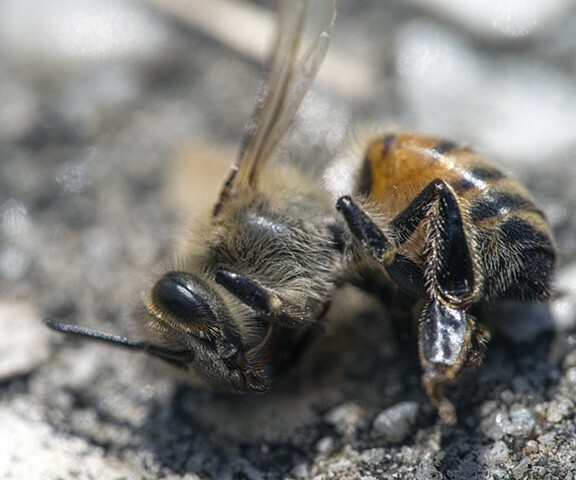 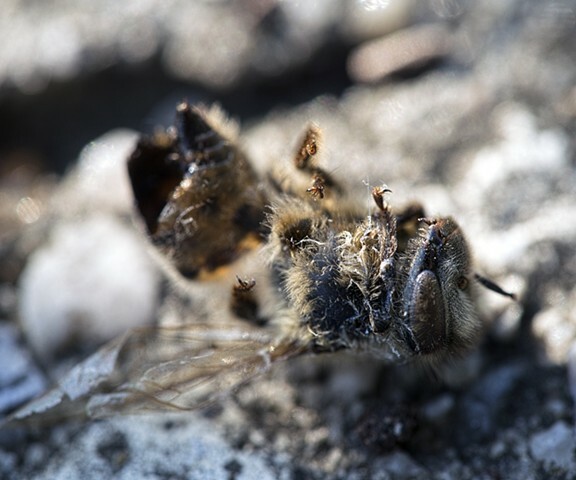 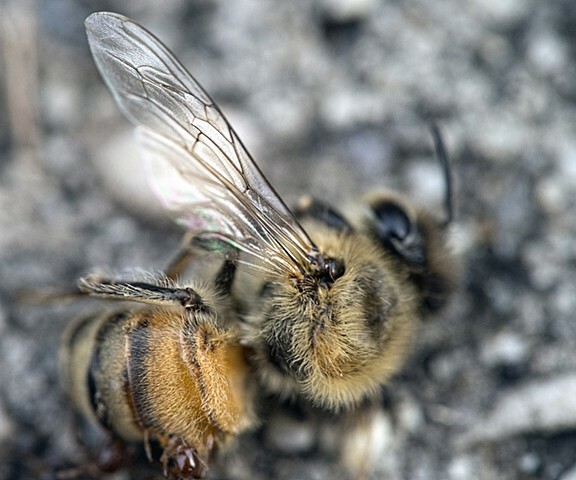 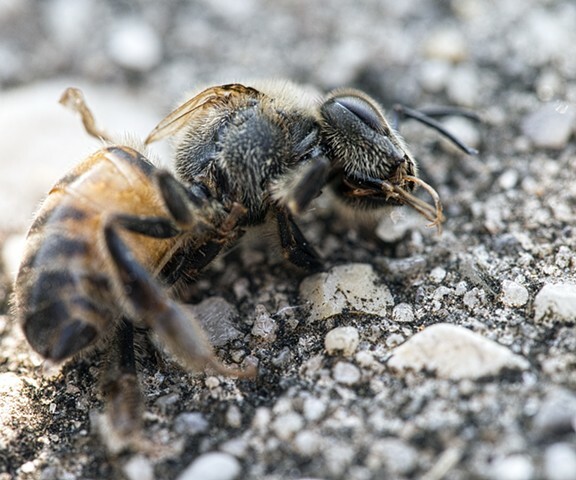 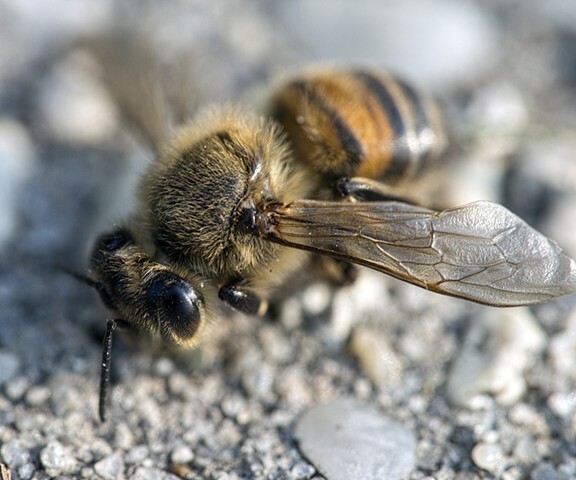 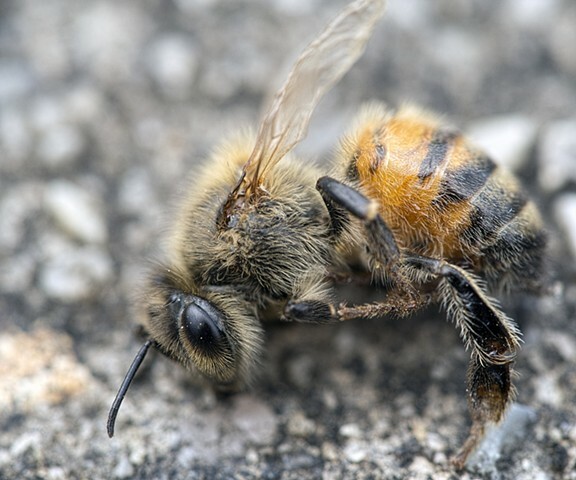 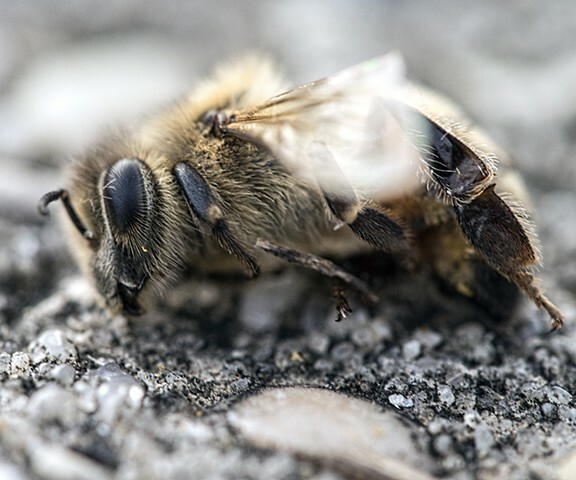 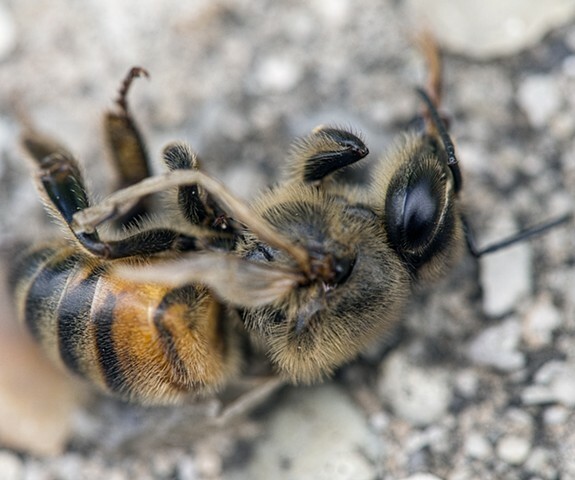 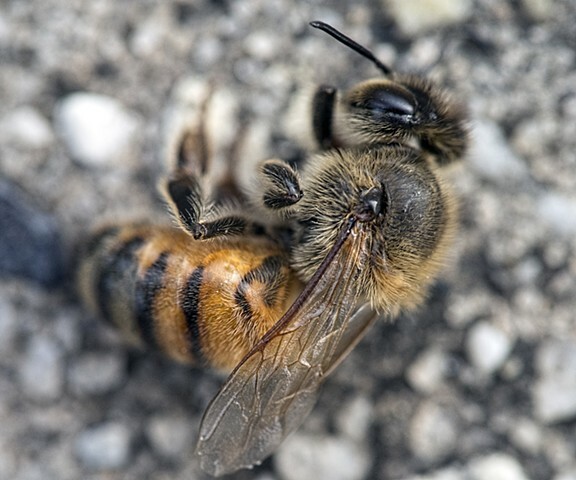 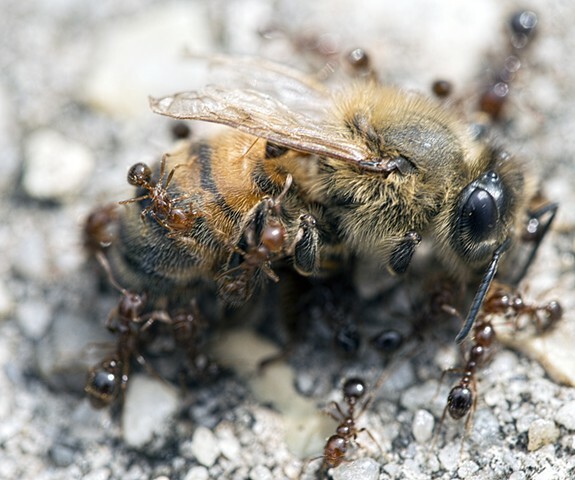 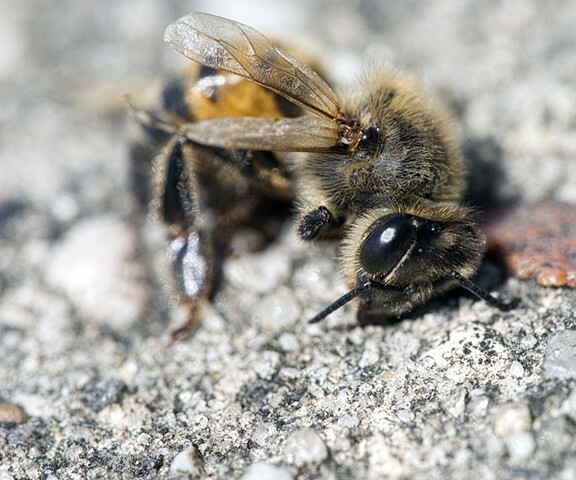 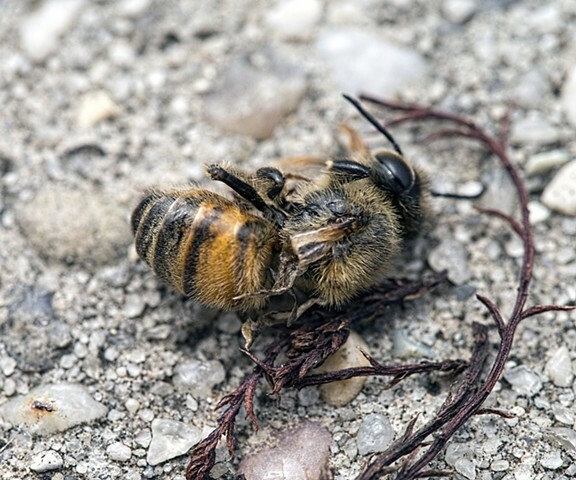 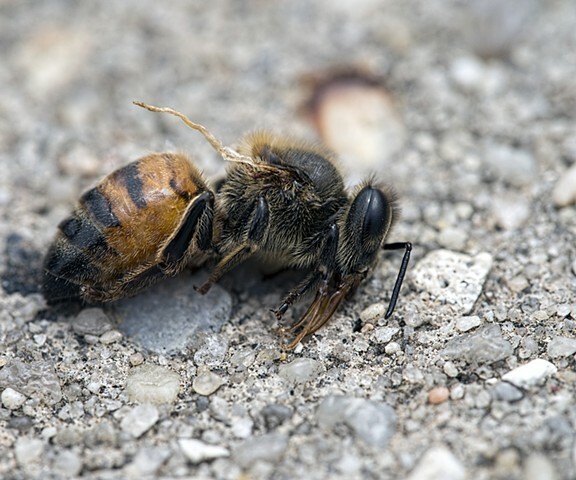 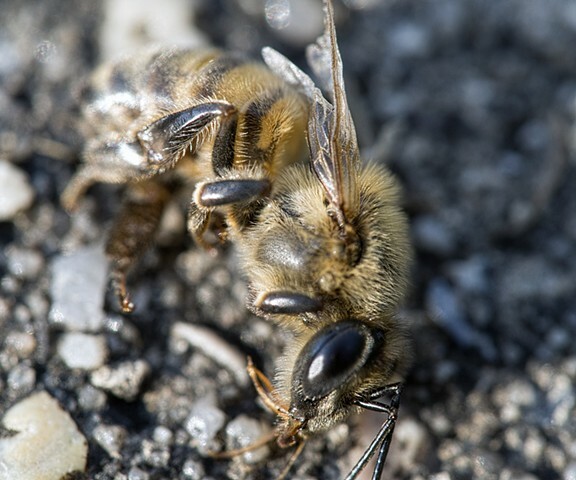 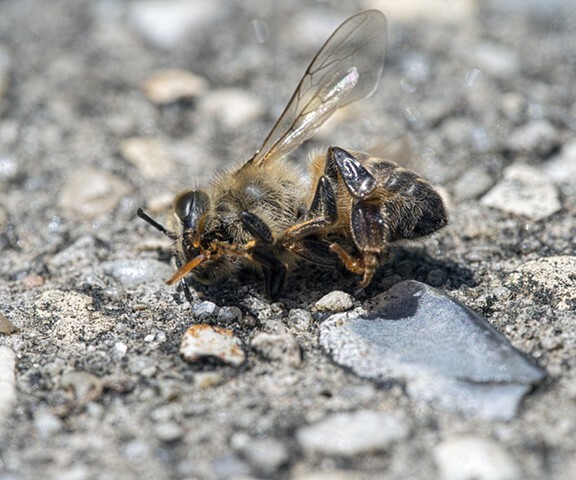 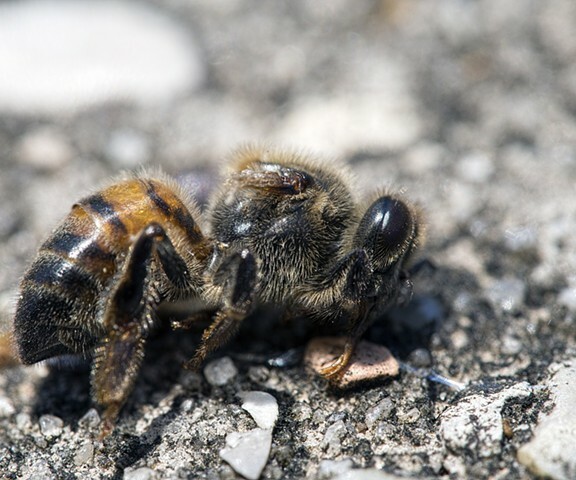 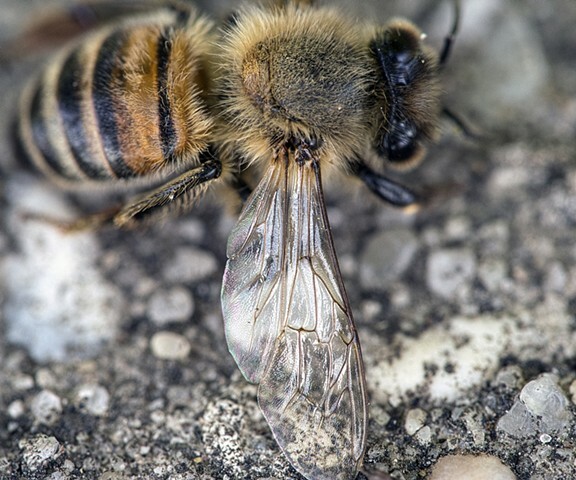 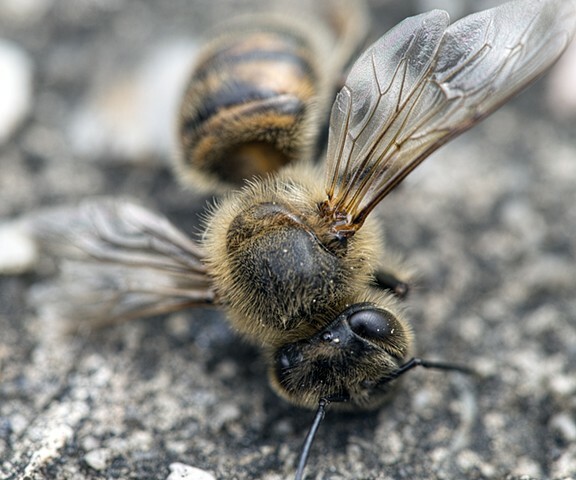 My recent focus on the end of life for bees seems a prescient telling of this crisis. 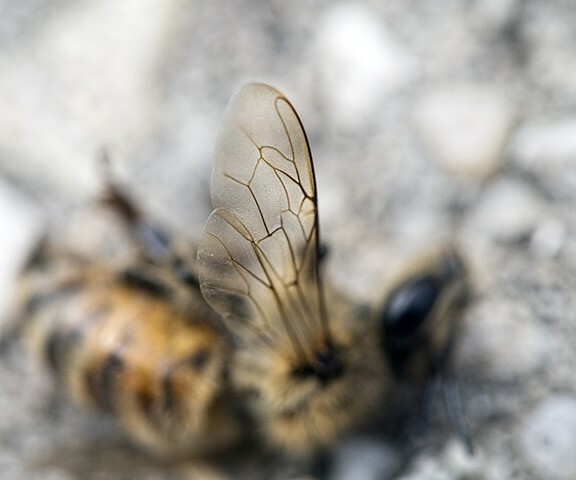 Bees, among nature’s most prolific builders of ingenious architectural structures, are critical to our very survival. 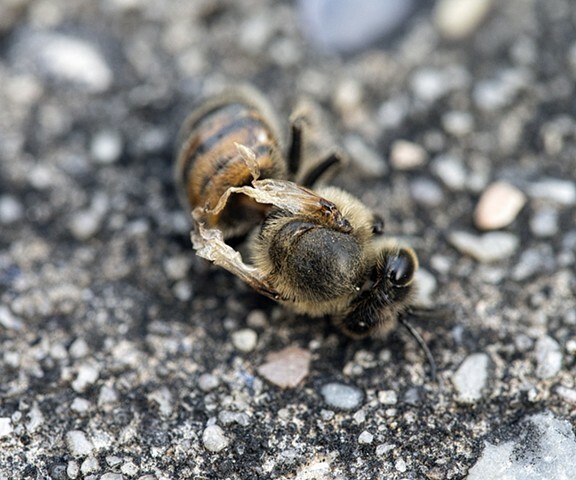 In 2015 I found a colony that collapsed. 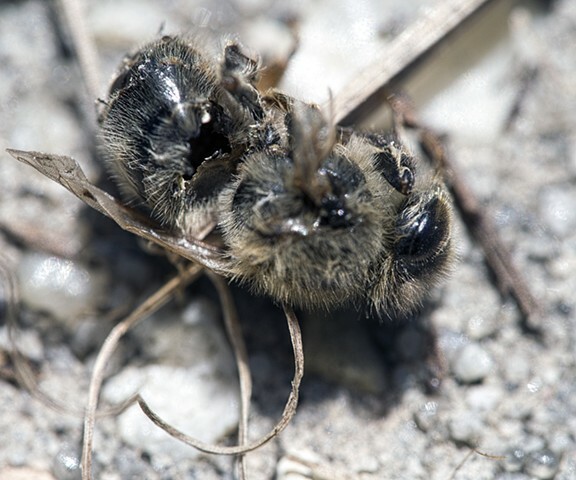 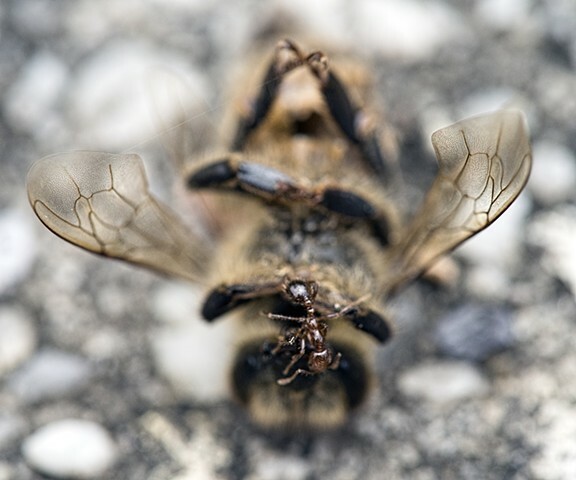 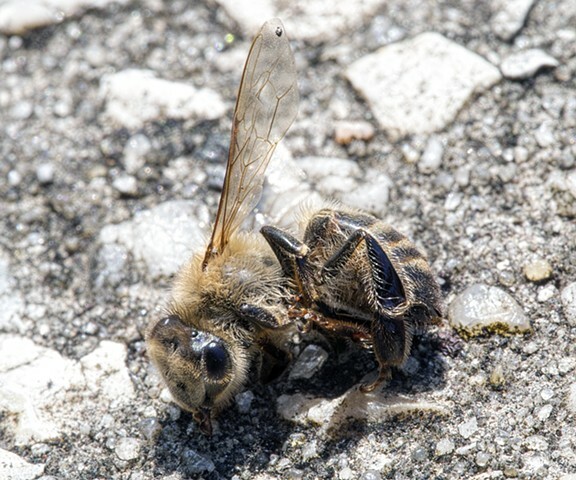 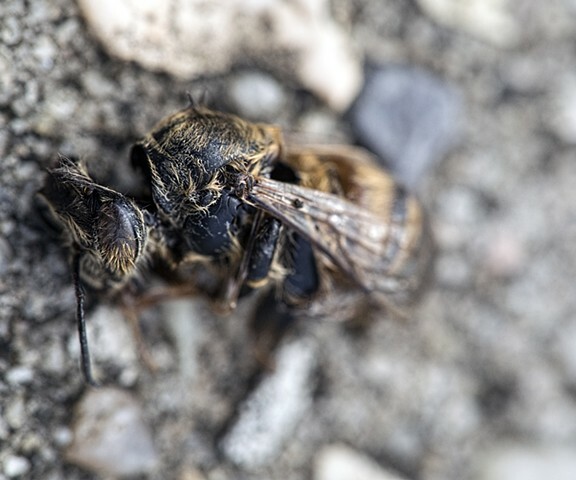 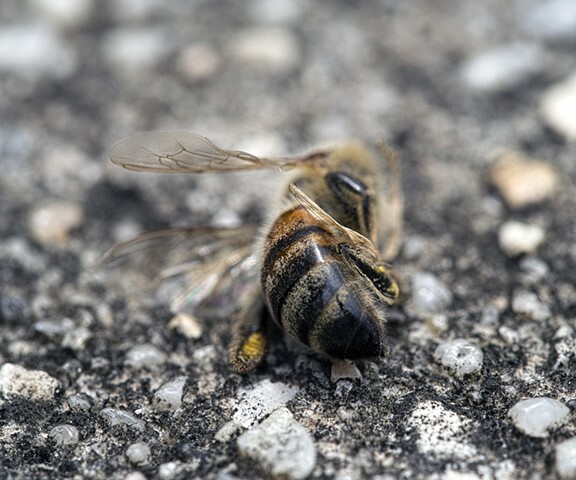 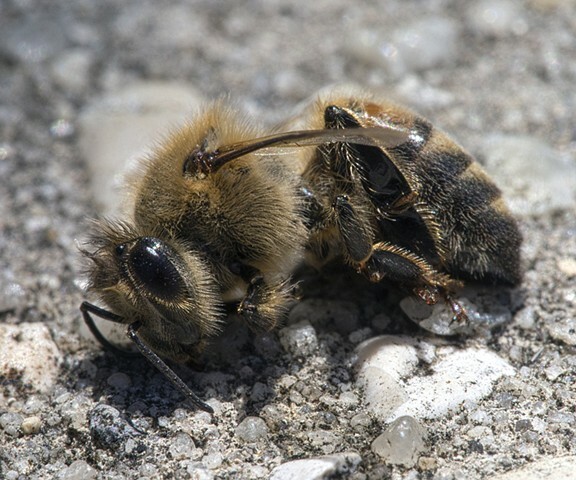 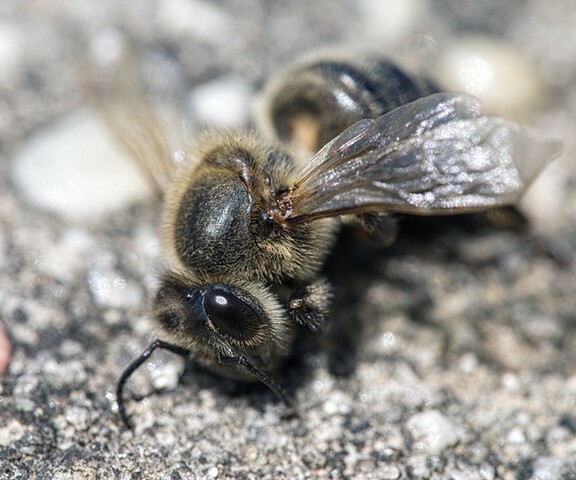 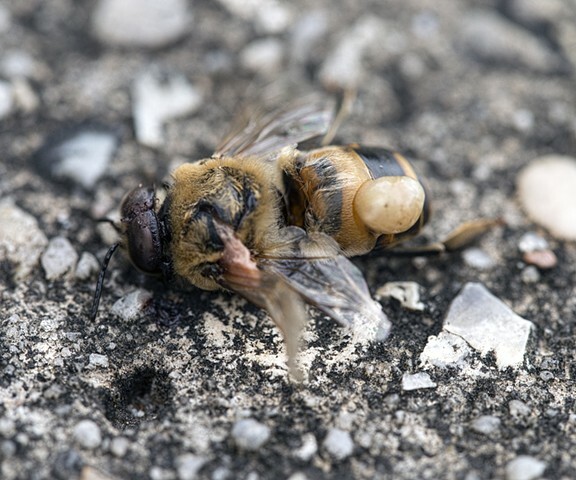 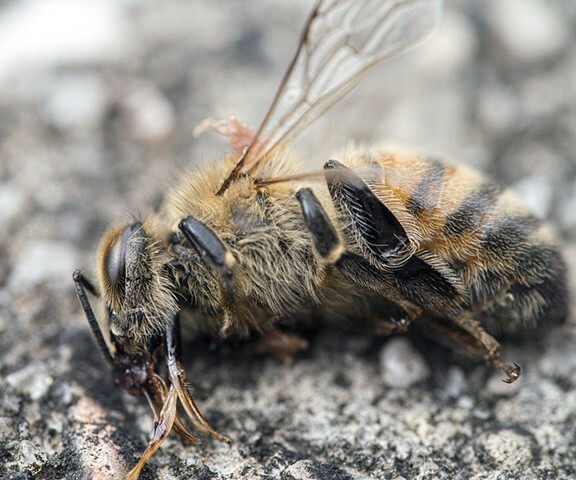 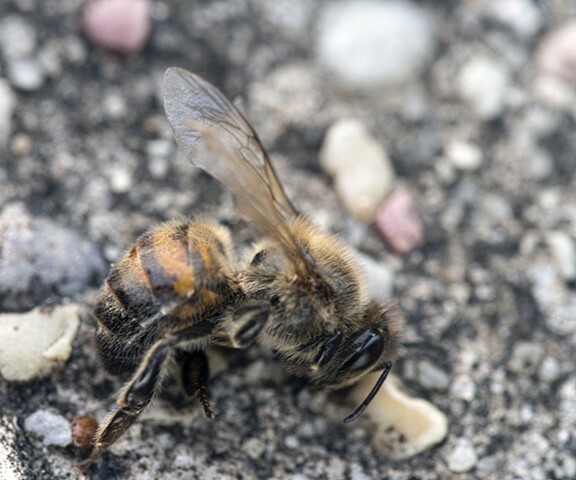 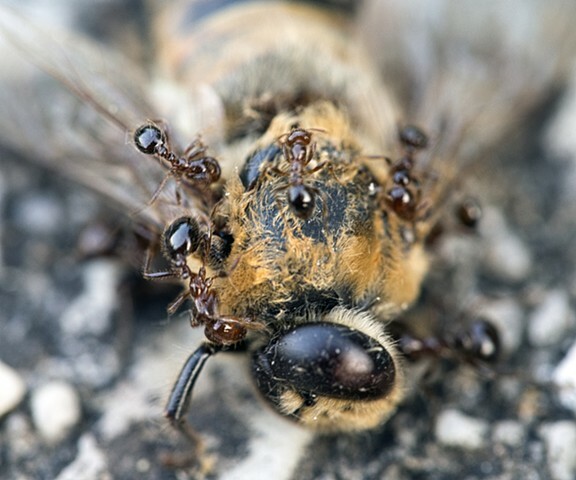 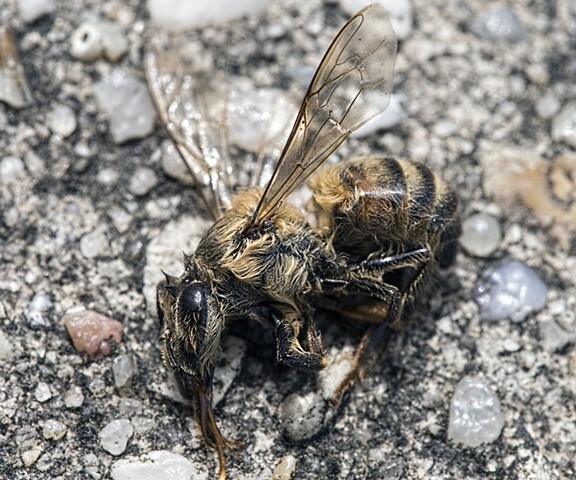 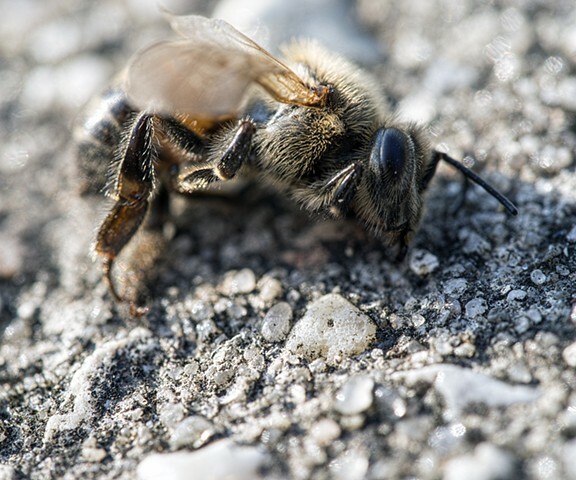 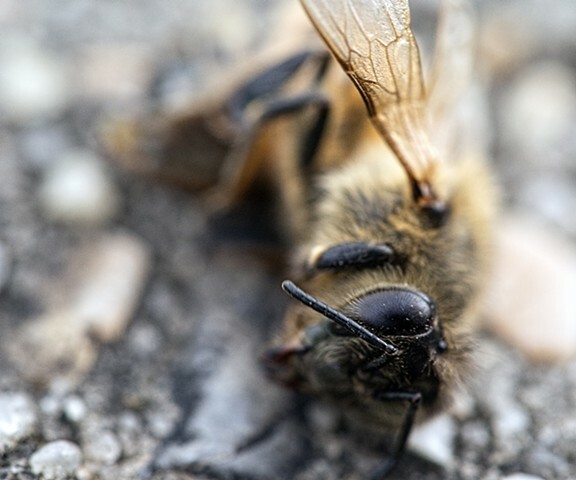 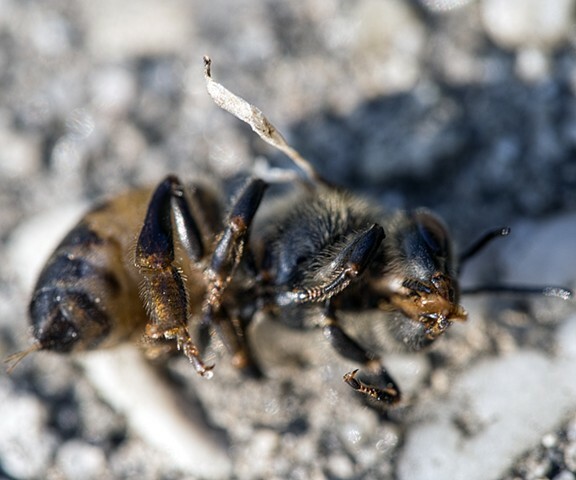 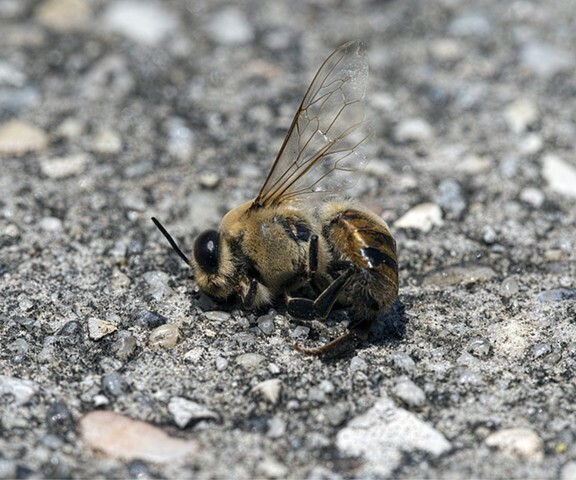 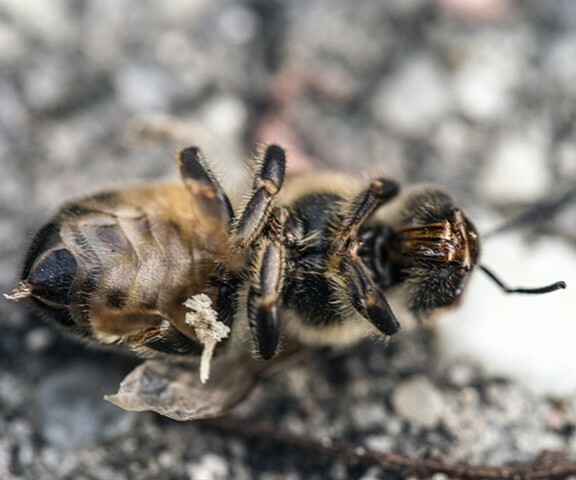 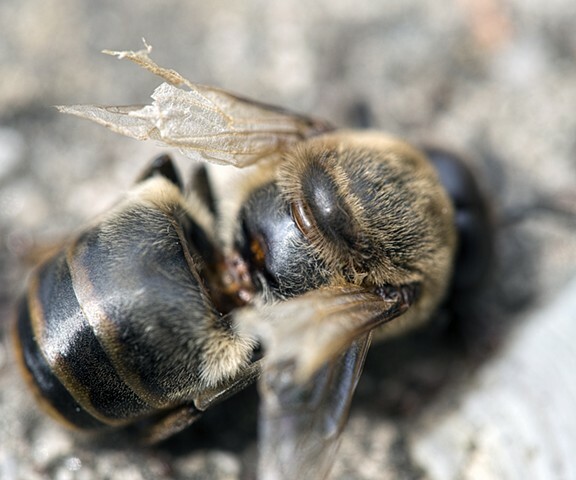 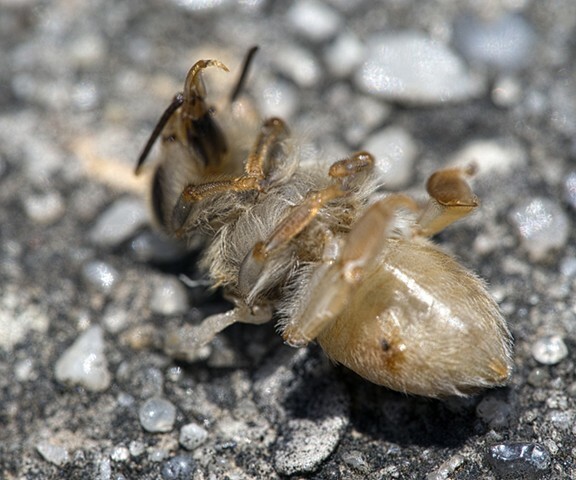 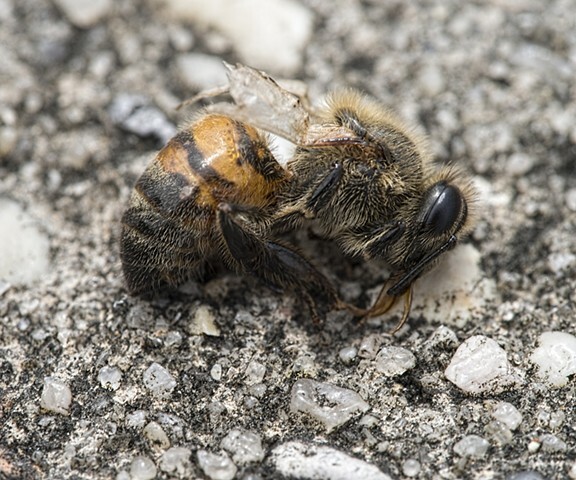 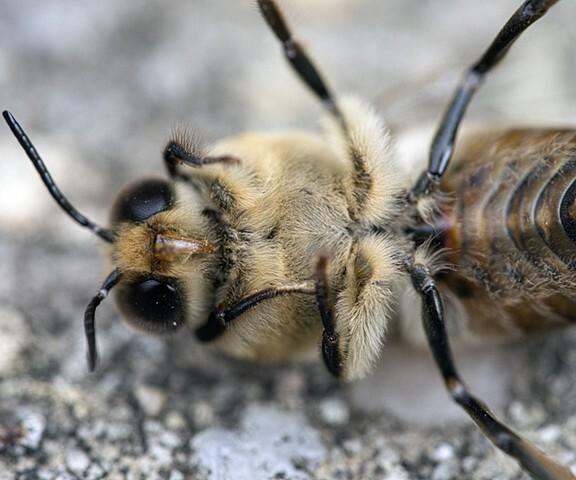 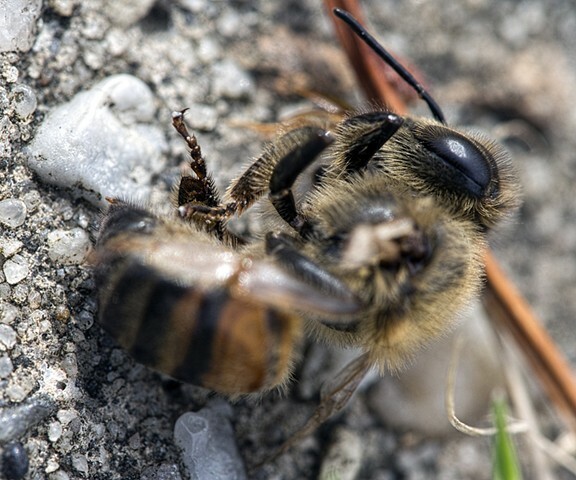 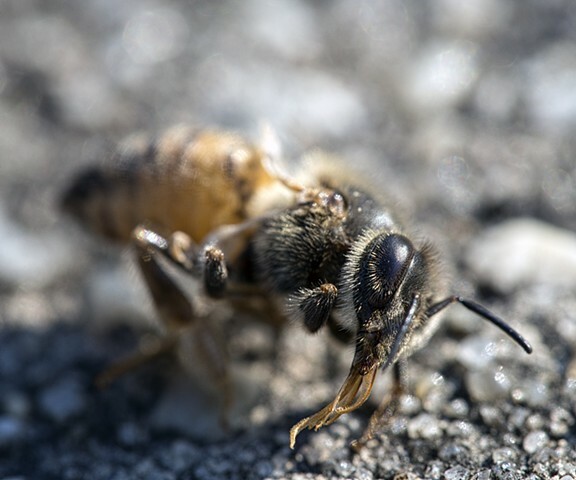 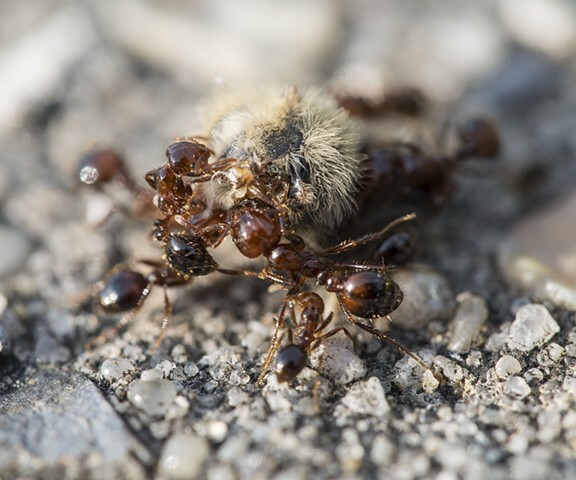 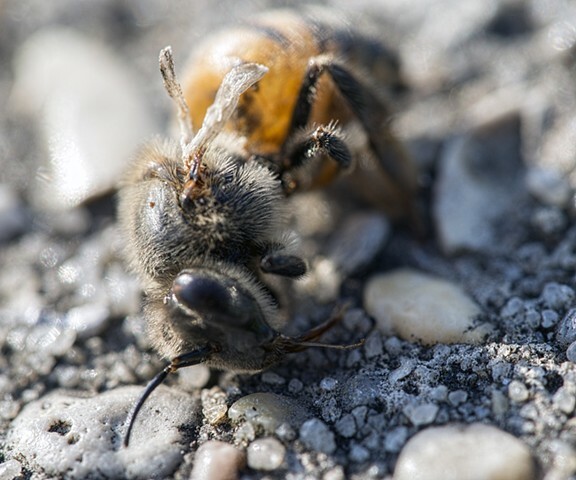 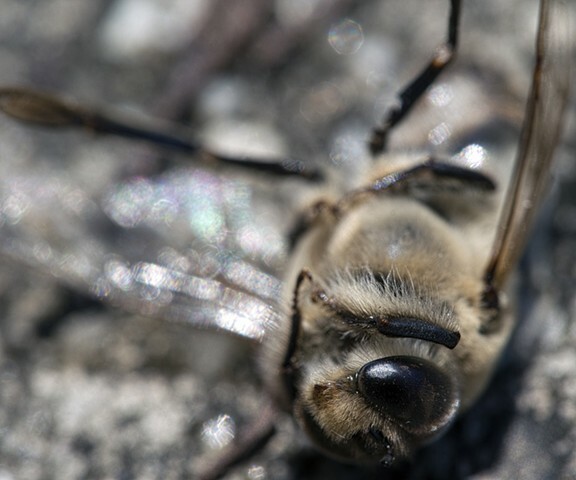 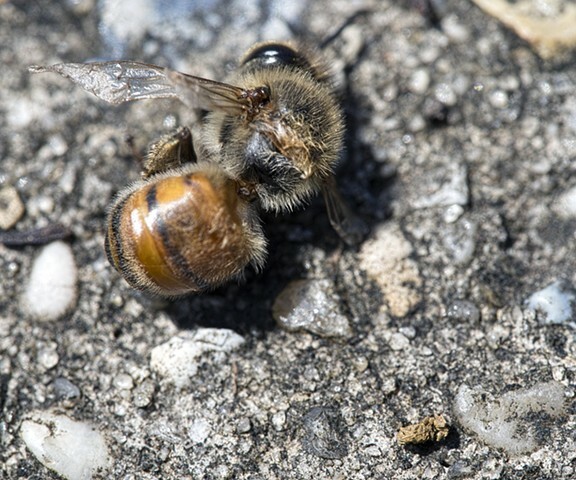 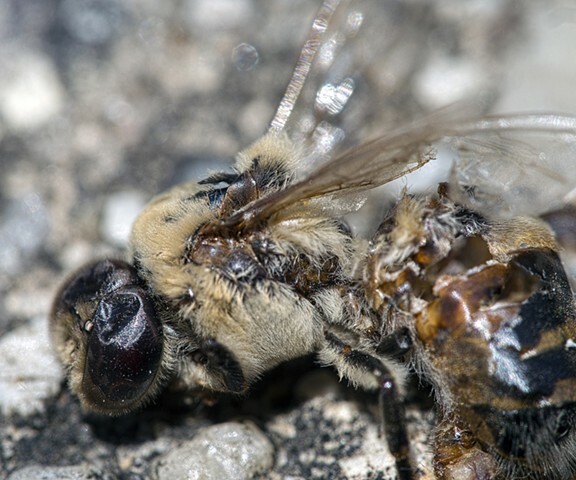 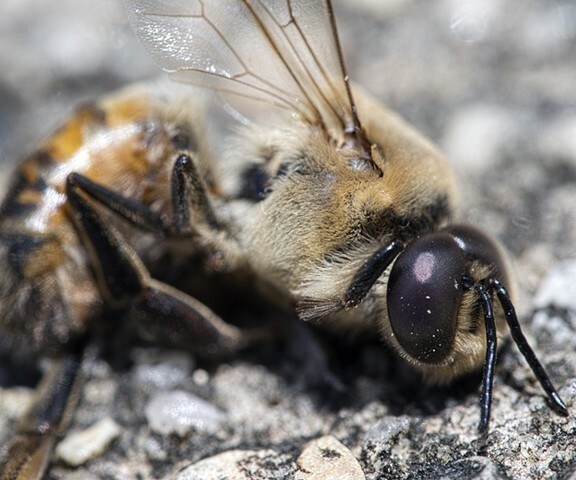 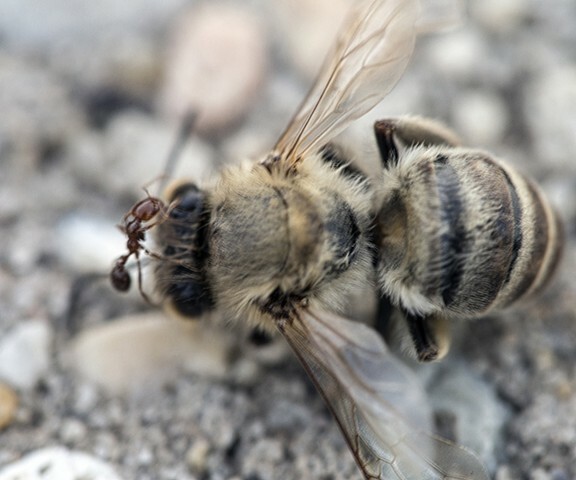 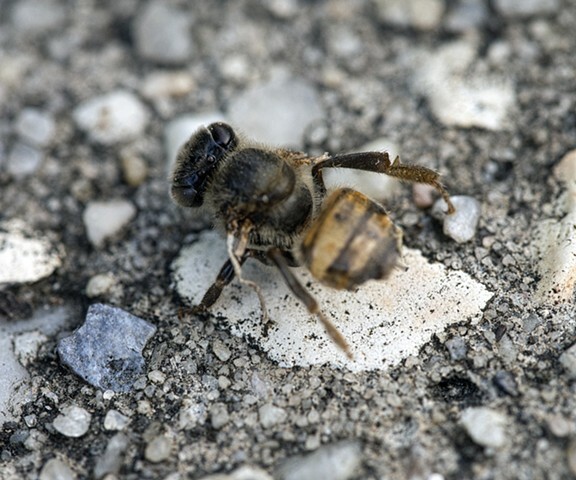 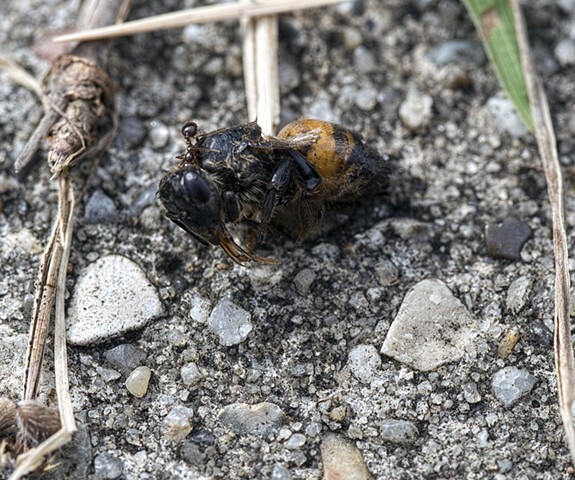 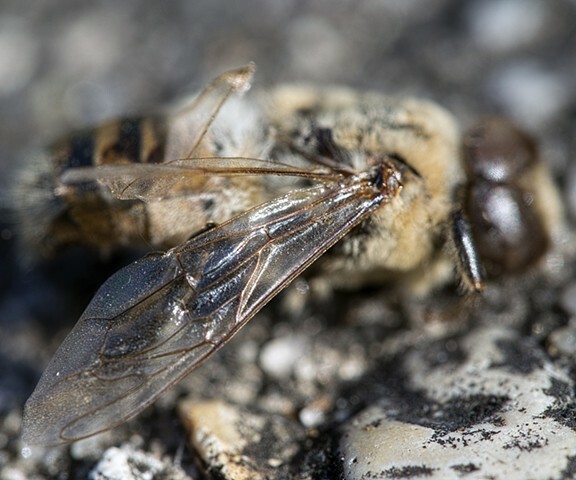 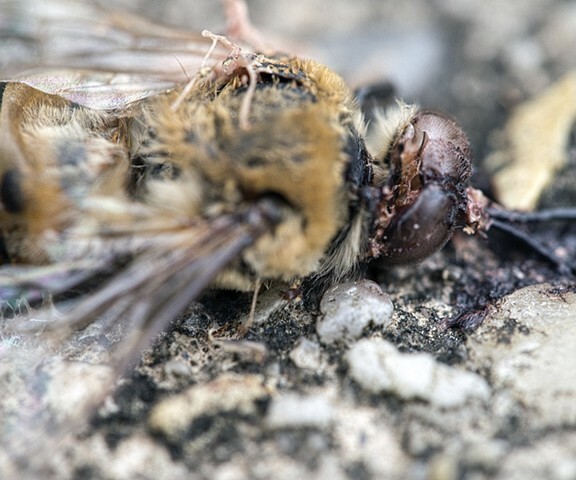 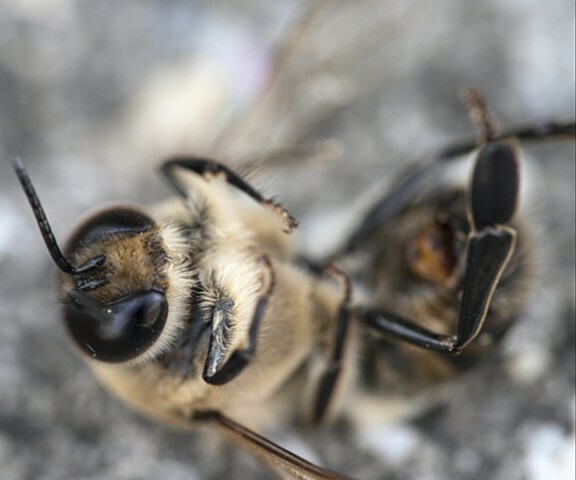 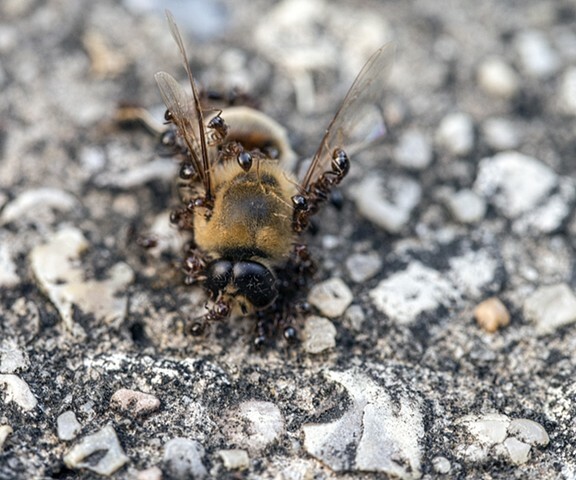 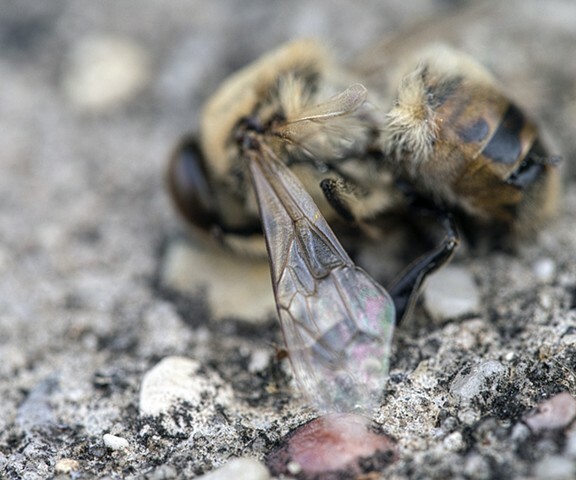 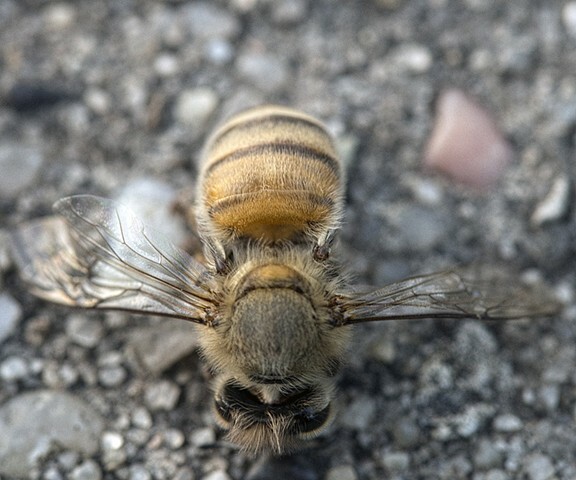 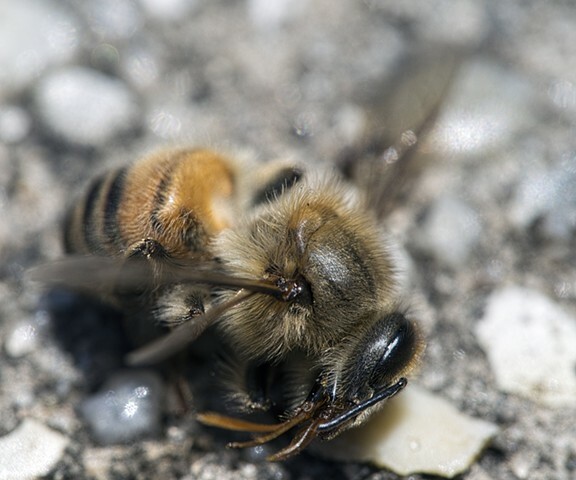 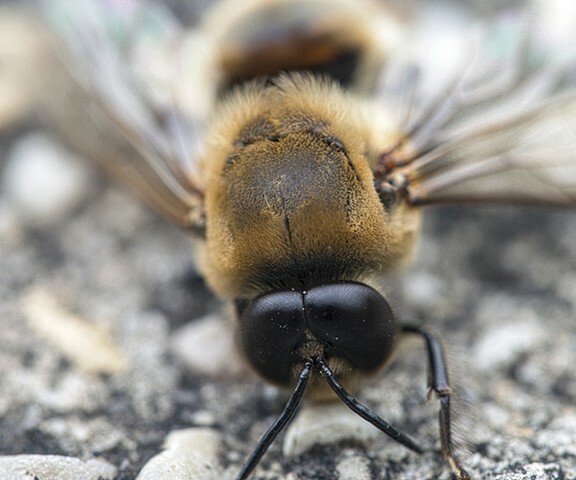 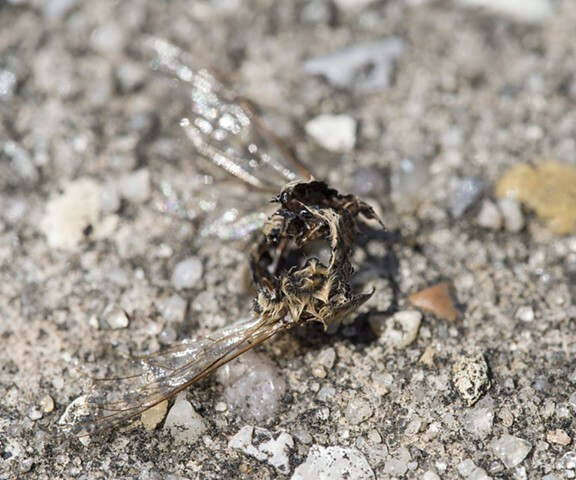 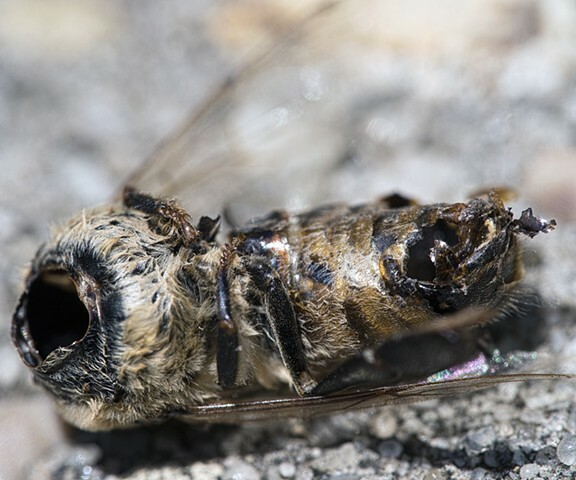 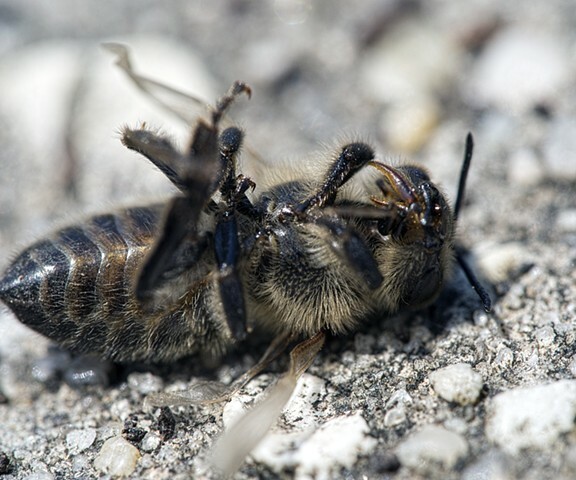 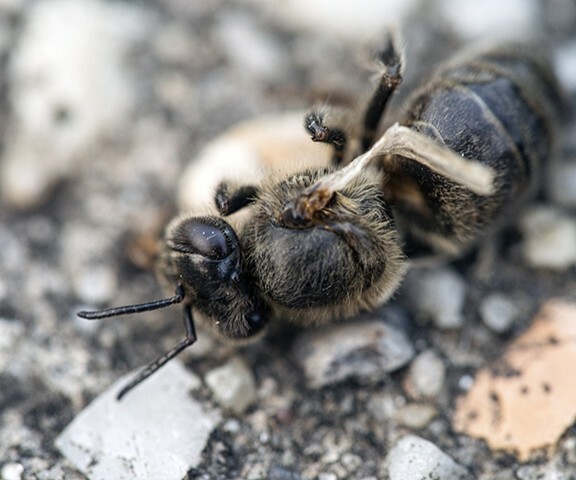 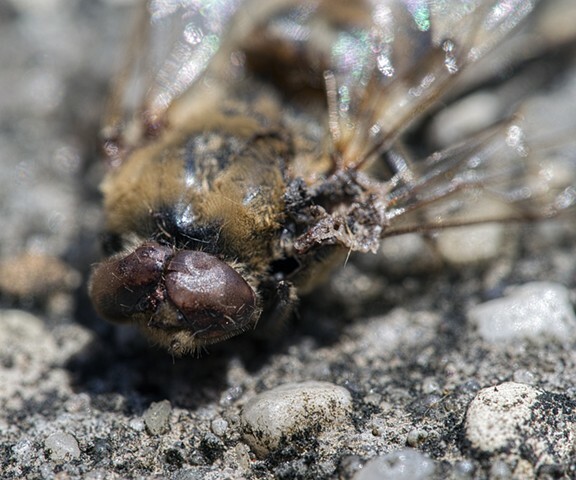 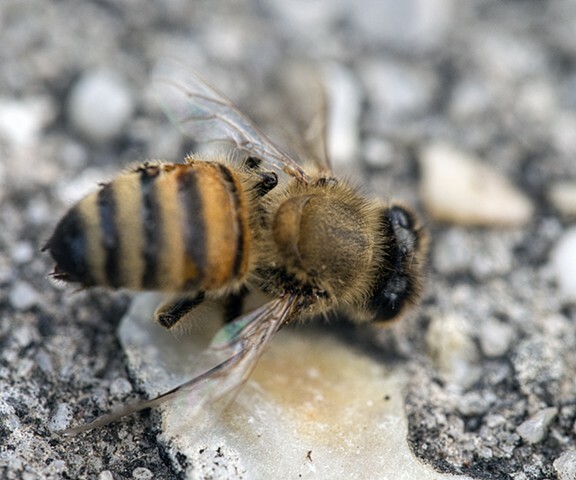 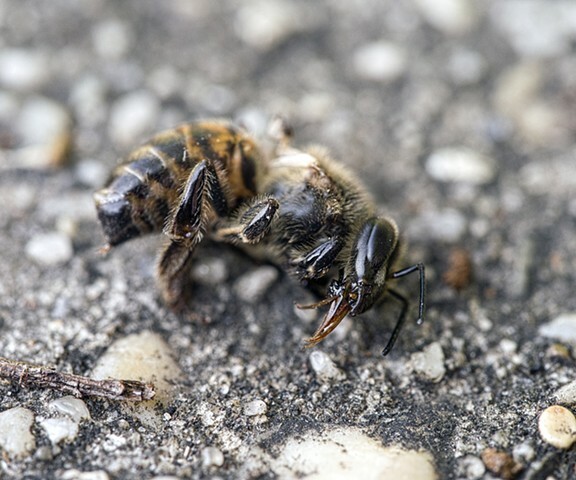 I photographed dead bees daily for about two months. 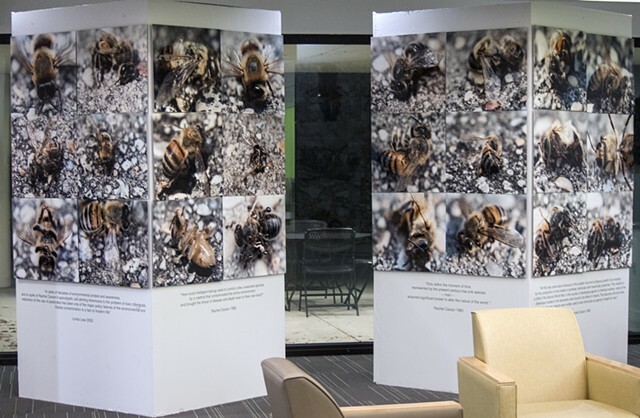 I also collected each specimen. 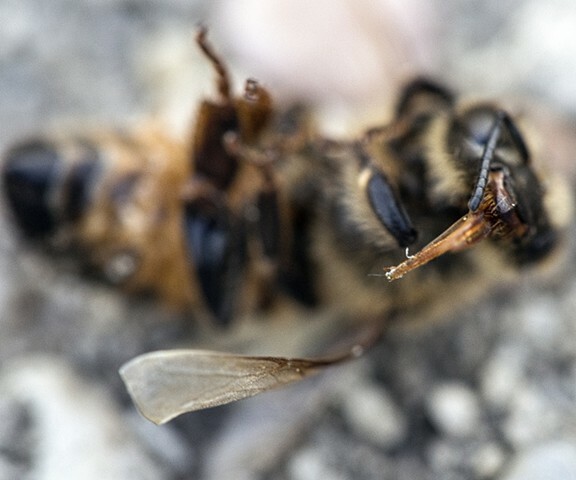 This series is a macro view into the cycle of death. 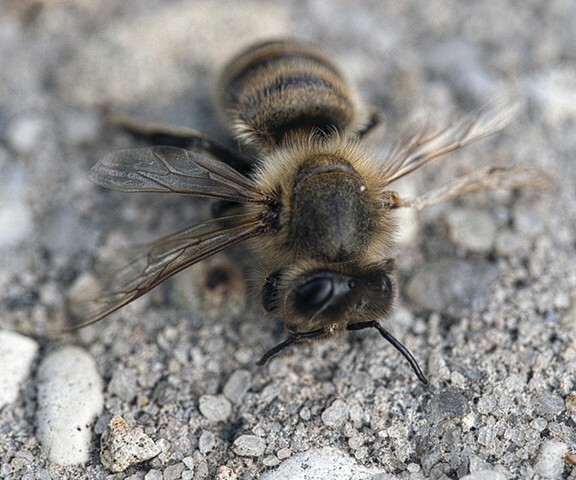 There are 130 individual bees in the series. 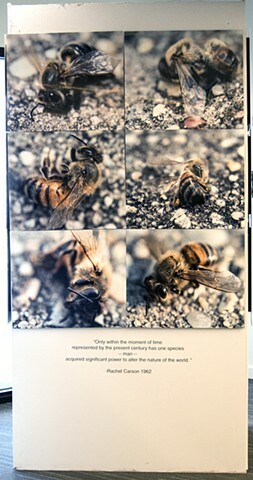 This artwork will hopefully begin a dialogue and a push towards saving our environment. 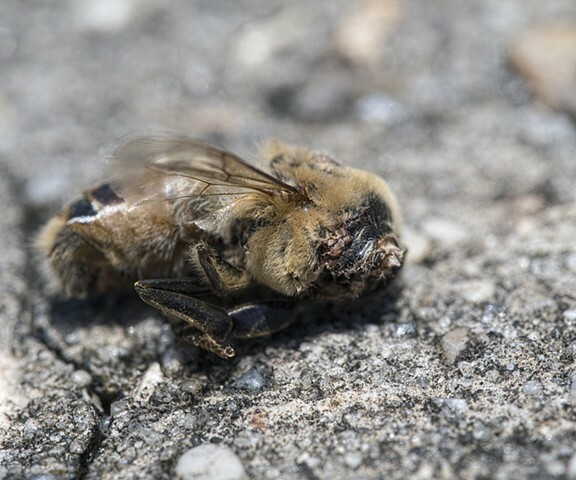 Our bees and butterflies have been dying. 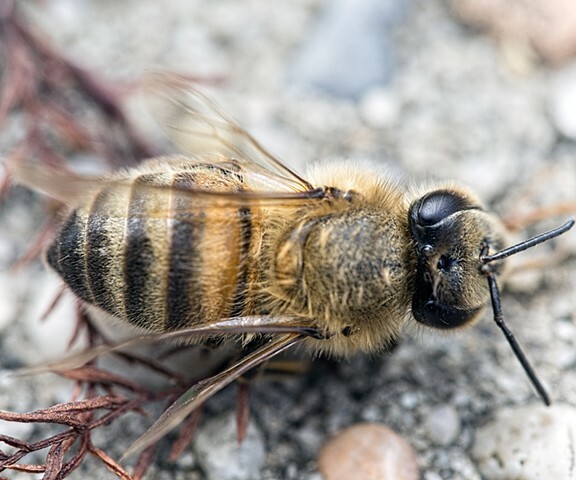 We need to plant more wildflowers. 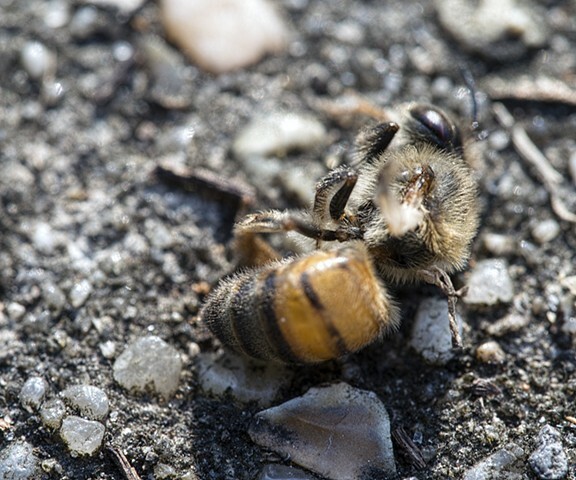 We must stop the use of pesticides. 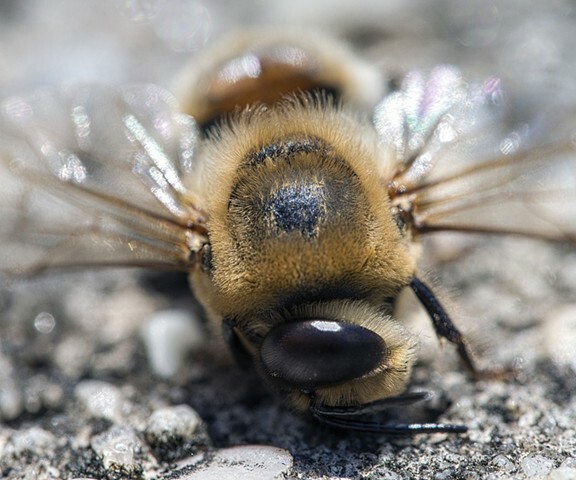 Every Spring we await the arrival of luscious greens and flower blossoms. 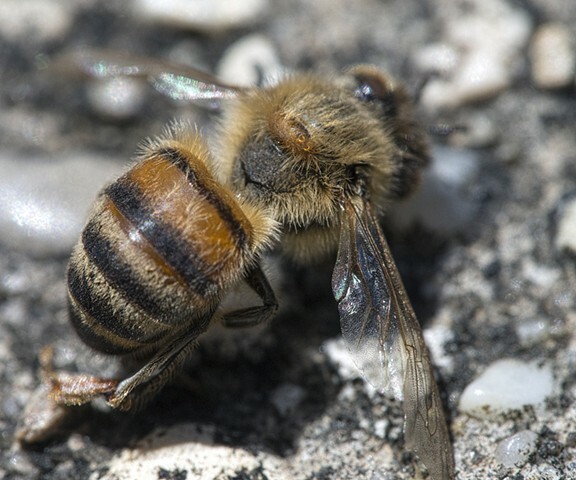 Without the bee population humans will have to take paint brushes and flower by flower try to pollinate each and every plant. 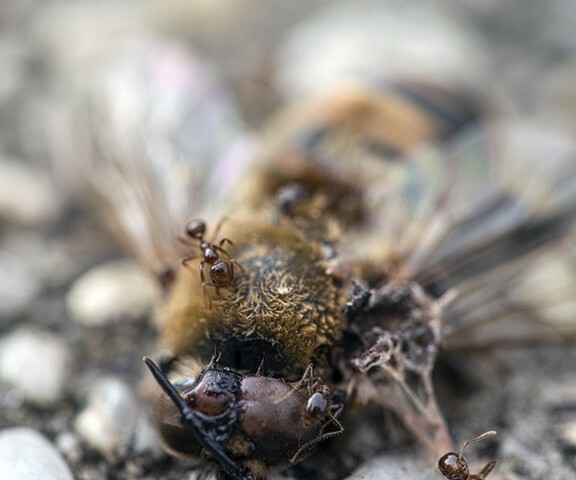 The task is overwhelming. 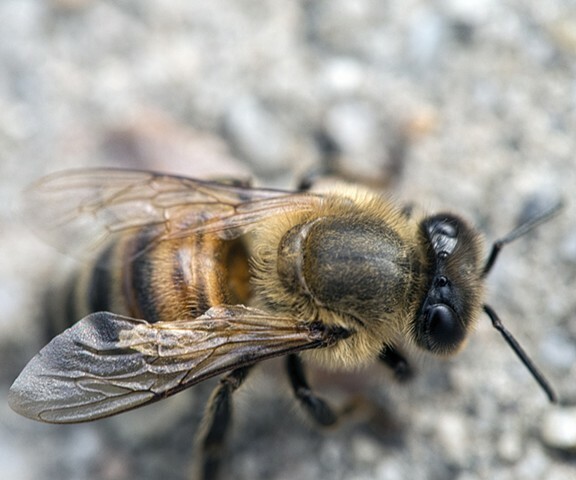 Bees are estimated to be a billion dollar industry. 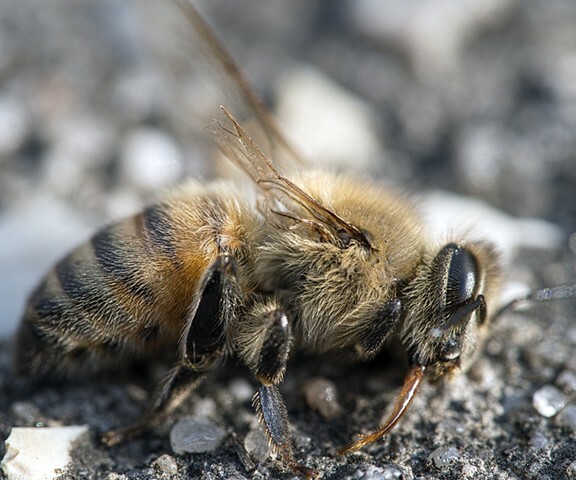 We must begin to protect them. 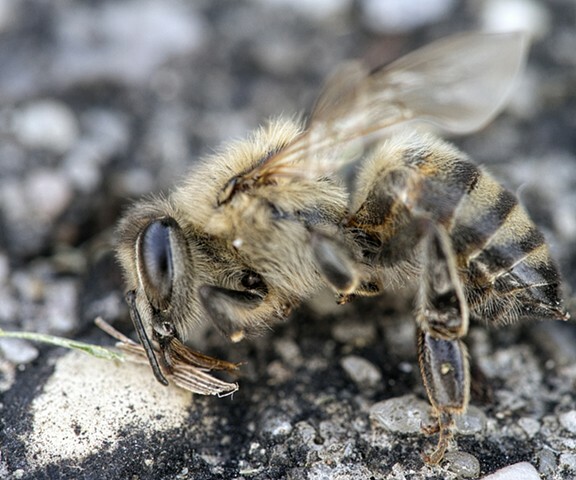 We must at least become aware of our impact on the environment.